Concrete is here to stay indoors! Rustic yet contemporary, dramatic yet appealing; this trend guarantees to move you beyond the mundane and into the lap of the unconventional. Concrete, which has been in trend for last couple of years, continues to excite in 2017 as well. The material has become a staple choice not only for outdoor usage but for interiors as well. Moreover, this trend is here to stay for longer that assumed; only this year it will be much lighter in its treatment and will often be combined with other materials such as brass and wood for a fresh look. Scroll down to get ideas on how to style your home with this trending material. Coffee tables, chairs, planters are just some of the ways to imbibe your home with this offbeat trend. To your surprise, concrete helps to bring a warmer feel to the interiors instead of creating a cold and hard aura. 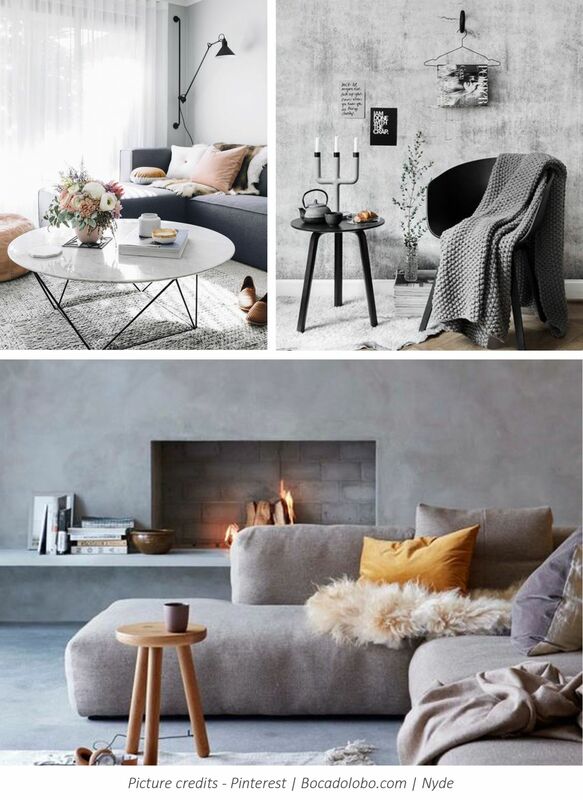 In addition to this, using concrete furniture gives a perfect excuse to add soft furnishings with more tactile textures; juxtaposing with the cool surface, they will add warmth and offset the timeless quality of your concrete accessories. 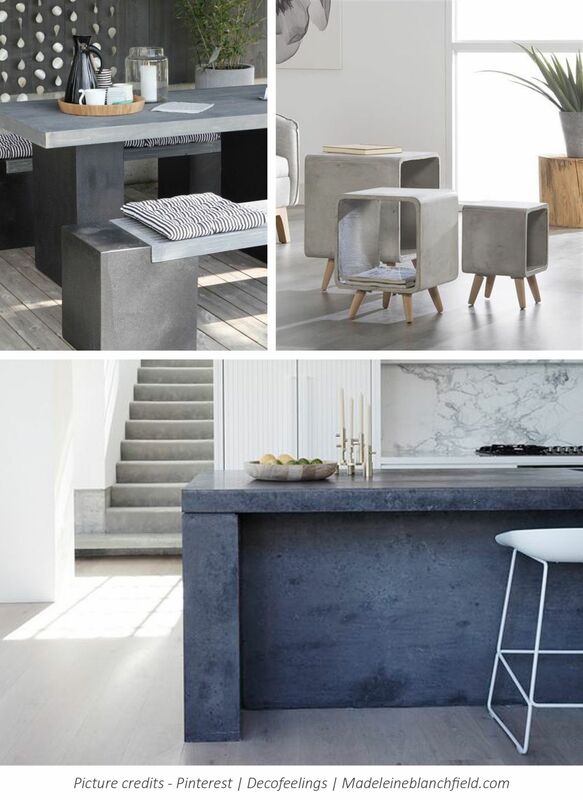 If this trend is too bold for your subtle style, concrete accessories are the best way to give that initial start. Otherwise, take inspiration from the concrete material and look for natural-led patterns, from marble to stonewashed fabrics across soft furnishings. Not limited to this composite material, the trend also incorporates the hues and modern ambience of concrete. No matter where you live or what kind of home you inhabit, you can create an impeccable look by introducing shades of grey to your space. 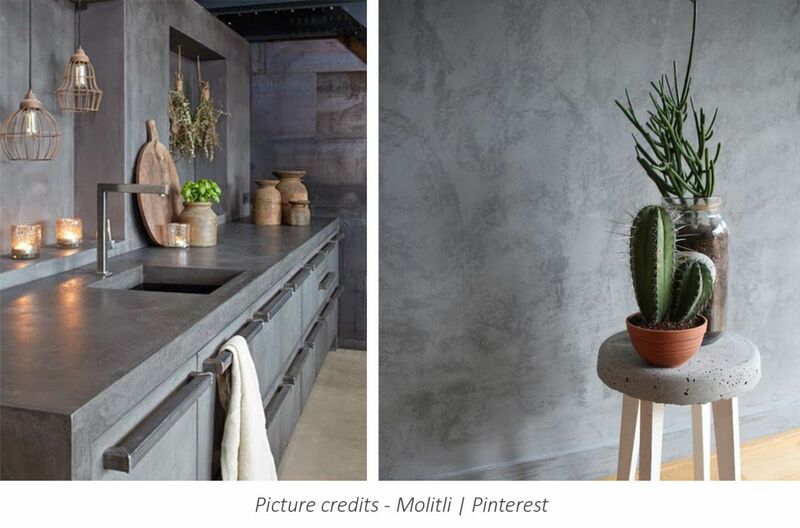 Grey loves all the other colours so, if you find the right shade it will go with everything and will warm up the cool concrete shade. If you choose to welcome this trend with open arms, don't forget to bring in the fresh touch of yellow through lights and green through botanicals to pacify concrete’s grey connotations. 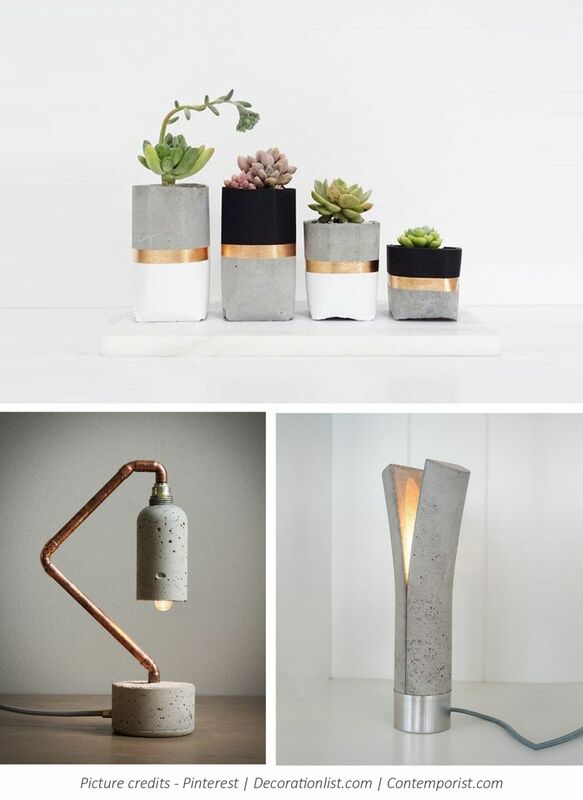 From on the table across dining accessories, to the hallway in a coffee table, however you choose to use concrete or its inspirations, make sure you add a hint in your home this year. Stay tuned to get the first look of our Concrete collection!